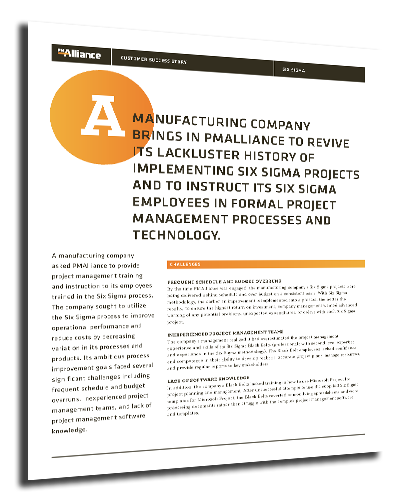 A manufacturing company asked PMAlliance to provide project management training and instruction to its employees trained in the Six Sigma process. The company sought to utilize the Six Sigma process to improve operational performance and reduce costs by decreasing variation in its processes and products. Its ambitious process improvement goals faced several significant challenges including frequent schedule and budget overruns, inexperienced project management teams, and lack of project management software knowledge.